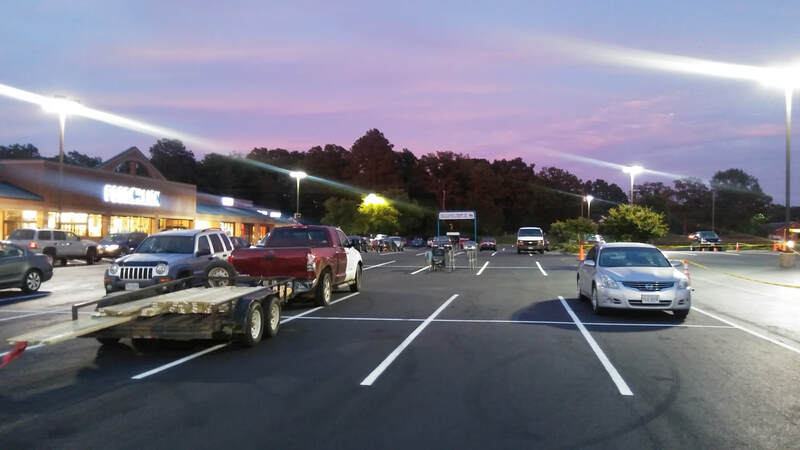 Most users like parking lots to be easy to use with a clear path to parking site, no obstructive views, smooth even passage, clean, no standing water, and effective security equipment lights and cameras. When people feel unsafe, they will move on to a business competitor that has demonstrably better security. Especially women will look at the security controls of a parking lot because they face more personal risks. And, since women do the majority of the shopping within a family, parking lots with bad security could lose a major client base. ​We build parking lots with a goal to provide a safe environment for the public in which they can navigate easily, park and walk in relative safety to the building. Our estimates besides considering client needs and desires also consider cost, longevity and appearance. It is a waste of resources to repair the surface of the asphalt pavement without addressing the cause of deterioration- you may have to go through another repair service in a few years. 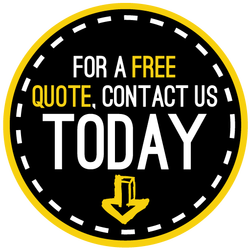 Whereas, making the most cost effective appropriative repair will provide years of trouble free service for your property enhancing its value. We install concrete components of the commercial parking lot, such as sidewalks, curbs, wheel stops, speed bumps and storm drains or culverts. No need to hire another company and work around more schedules. We own all of the equipment necessary to build a parking lot, and will handle the total repair, resurface or build around your schedule. Also, our equipment, we have thousands invested, undergoes routine maintenance. No worries over our equipment breaking down and destroying your schedule. Parking lots have been decried as vast fields of useless pavement but can you imagine commercial congress without them? Our lives are supported and enriched by the use of cars- we need parking lots to comfortably visit service providers or stores. The desire to park our cars in front of a business or service provider is the need for convenience in our busy lives. We want to quickly get what we need or desire because many of us have so little free time in our lives. Property owners want a parking lot that functions with pedestrian safety in mind yet still retains the maximum number of parking slots that can be conveniently accessed by its users. Design the parking lot as a set of rectangles. Position the parking stalls parallel to the building to prevent cars from crashing into them. Position parking stalls around the perimeter. Use traffic lanes that will move cars both directions between the parking stalls- this allows for better visual clarity (as opposed to angled parking). Arrange the parking lot so its long sides are parallel. Seattle WA Paving will work with clients’ designers to help build the type of parking lot that will be most beneficial to users and property owners. Most of all we want our clients to get a designed parking lot that will function well for decades at the lowest possible price point. ​Parking lots require maintenance because they are under constant stress, such as traffic loads, temperature changes, moisture intrusion, and UV rays (oxidation). The most destructive force is moisture (rain water, snow, and ice) which seeps through cracks or slips under the pavement because of poor drainage design. This moisture infiltrates the foundation, spreading out- compromising more pavement as time passes. After the damage has reached a certain point, it will increase its rate of destruction and shortly you'll notice that a large portion of the parking lot has failed. Hopefully, before the parking lot needs a complete reconstruction, you will consult with an expert asphalt paver for repairs. Surface Cracks can be cleaned and filled with a hot sealer. Slight depressions can be overlaid with a patch. Light Grey pavement or fading color is the natural ageing of pavement as it weathers over the years. 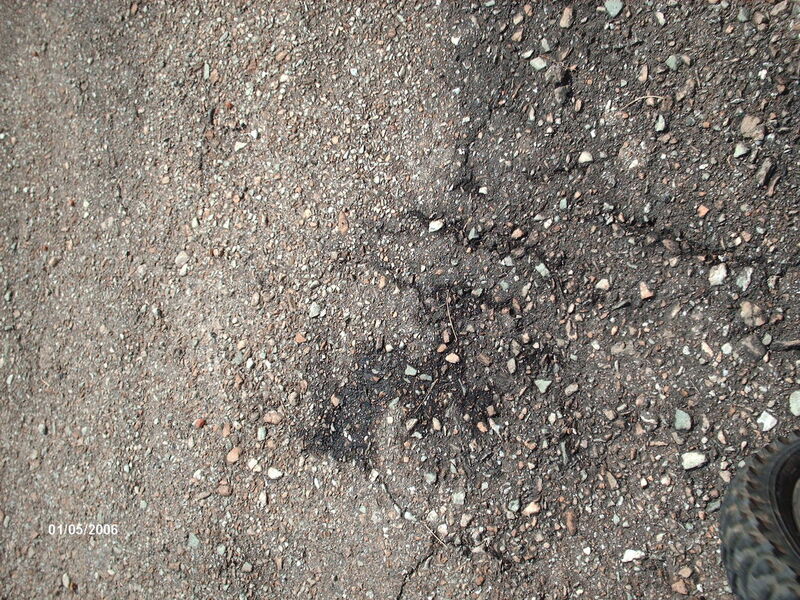 If left untreated, the pavement’s surface will become brittle and show more cracking with the passing seasons. A simple restoration is to fill the cracks and then apply a seal coat. However, if the pavement has lost all flexibility, it is time for a resurfacing or a total redo. Alligator cracking shows up as several small oblong shapes connected - looks like alligator skin. Alligator cracking can have a few different causes, such as stress received from heavier loads then what the pavement was designed for, moisture intrusion into subgrade, and improper installation of subbase. Alligator cracking can be fixed by removing all damage pavement, including damaged subbase, then rebuilding the subbase and finally placing a patch. ​The above pavement failings are examples of types of pavement distress that we can repair quickly by blocking off a small portion of the parking lot. We work into early evenings and have no problem working on weekends (rainy weather in Seattle forces us to be very flexible). ​Overlay or Asphalt Resurfacing is an affordable way to repair or renew an existing asphalt park lot by paving overtop of it. However, the original parking lot pavement needs to be prepared to regain a long-lasting, useful and attractive lot. If the preparation is hurried or just missed altogether, the new parking lot will soon look as bad as the original. The deteriorating parking lot must be milled or shaved off just enough to even out the original pavement so that when paved over it will match the existing landscaping around it. Keep in mind, that areas that now puddle will again puddle since in most cases, the grade cannot be altered by just paving an overlay. Also, any problems with the subbase will reflect back up through the overlay. The subbase must be repaired to prevent “reflective cracking”. The pavement is then cleaned, an adhesive is laid down, and the new asphalt is applied in layers. 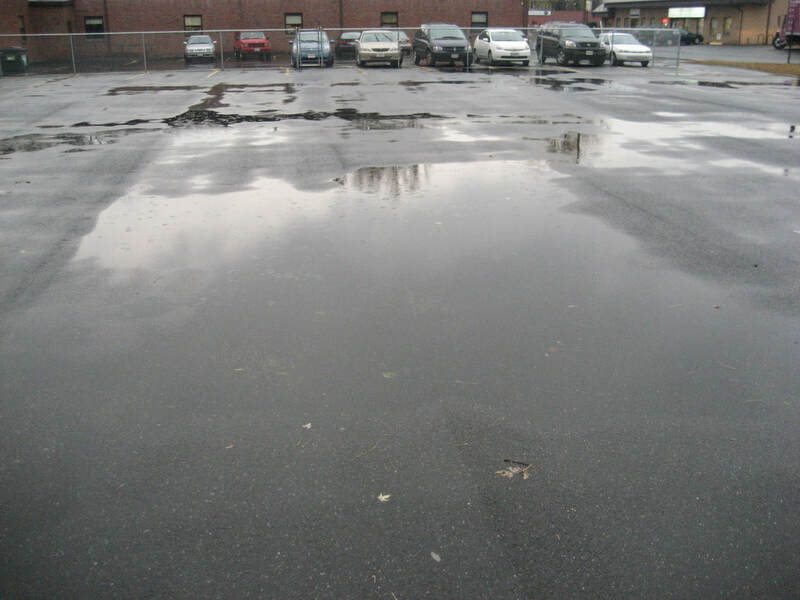 The best possible fix for an ageing parking lot would be a resurfacing because it is less expensive than a full tear out and reconstruction and can be done quickly. Resurfacing makes the parking lot look new. It is an attractive option for business owners trying to upgrade their image or brand. ​Life Expectancy for an overlay (resurface) parking lot is 8 to 10 years if properly maintained. Sealcoating your asphalt parking lot will fill surface cracks and reduce exposure to UV rays. Also, at the same time, repelling oil and gas (kind of a waterproofing). Most asphalt contractors agree this should be done every 2 to 3 years to encourage the pavement to reach a long lifespan. Every year would be too much as you might be in danger of small cracking appearing- just like paint that goes on too thick. Having the sealcoat done by a Professional is best because they have access to several types of formulas and can pick and choose which will work best for your unique situation. Sealcoating will fill and smooth a rough porous pavement into a like new surface that will repel water, oil dirt and gas allowing it to be swept away with the next wash. Periodic sealcoating can increase the lifespan of your parking lot to almost double its original one. ​​Parking lots concrete curbs are good for many things, such as helping to direct water away from the asphalt base and giving a visual end to the parking lot. Also, keeping people from parking where they’re not supposed too. Concrete is stronger and has a longer life than asphalt- this helps especially at the edges of asphalt where it’s weaker. Concrete pads laid in front of dumpsters or loading docks will strengthen the load capacity of the pavement that regularly receives heavy loads. Thus, stress fractures on these pads will be less likely, Even stress fractures (small cracks to start with) will over time spread damage out across the pavement. Seattle WA Paving has an advantage over its competitors- we can build all the concrete forms needed for the asphalt parking lot. This provides our clients with a more attractive price for both services as well as fewer contractors to manage and schedule around.